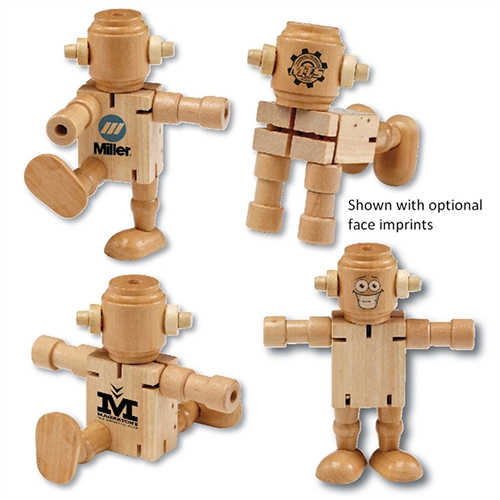 4" tall genuine wooden robot shaped fidget toy you can put in many different poses. Keep it on your desk, counter, shelf, purse, backpack - anywhere you need it. Strong elastic bands connect the wooden parts. Gift Box / 15 lbs / 100 pcs.